It’s strange, but this is the first Knox automobile we’ve featured on the site. It’s weird because Knox automobiles aren’t that rare and it seems that at least one of them changes hands publicly each year. Harry Knox got into the automobile business because he was encouraged to do so by his neighbor. Usually this isn’t a great reason for starting a business, but in this case, Springfield, Massachusetts-based Knox was neighbors with a guy named J. Frank Duryea, one of the brothers behind one of America’s pioneering car companies. Knox built passenger cars between 1900 and 1914 (and they continued building trucks and tractors through 1924). 1904 was the first year for the two-cylinder Knox, and this car is powered by a 4.5-liter twin making 16 horsepower. The ownership history on this car is known since new. In the 1940s the car was rescued, as it had been converted as the power source for farm equipment. It passed around through a few collections and museums in the ensuing decades, with the most recent restoration work having been completed in 2012. It is London-to-Brighton eligible and completed the run in 2016. Four body styles were offered on the 1904 Two-Cylinder Knox and this one features a soft-top Tudor Surrey. It is estimated to bring between $200,000-$225,000. Click here for more info and here for more from this sale. Update: Sold, Bonhams Amelia Island 2019, $252,000. 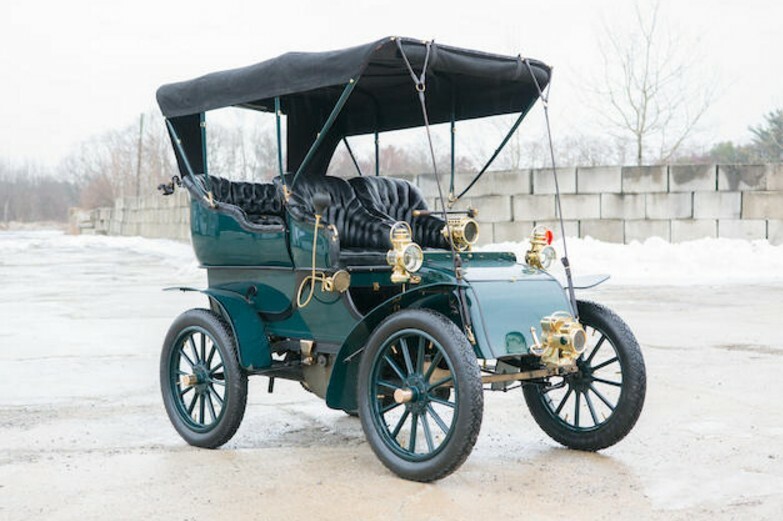 This entry was posted in Uncategorized and tagged 16/18hp, 1904, auctions, Bonhams, cars, classic cars, knox, surrey, tudor, two-cylinder by classiccarweekly. Bookmark the permalink.